HOURS: Off-Season Office Hours: Monday – Thursday, 9 a.m. – 3 p.m. Camp Hours: June - August | Monday-Friday, 9 a.m.- 4 p.m.| Extended Care, 7:30 a.m.- 6 p.m.
Camp Zehnder is where kids learn, grow and thrive! Kids explore nature, discover new talents, try new activities and make lasting friendships at this beautiful camp with an outdoor aquatics complex, KaBoom! Playground, shade pavilions, soccer fields, new basketball court, charming pond and more! Camp Zehnder is more than just a great place for kids and teens in the summer. Swim lessons and family swim time are available all year round. When summer ends, the outdoor pool complex is enclosed with a "bubble." A wide variety of camp fun and educational activities are available to help kids explore their potential: high ropes adventure course; swimming; biking; archery; kayaking; fishing; sand volleyball; nature trails for hiking; music; team building; and day trips. Older campers learn about social responsibility and participate in community service projects. At the Y, we know that when kids see what they accomplish, make new friends and feel like they belong, they are developing the confidence, character and teamwork they need to be successful in life. Camp Zehnder is a dynamic outdoor day camp operated by The Community YMCA, one of the more than 2,500 YMCAs nationwide. The Community Y serves over 20,000 individuals and families in Monmouth County.The Community Y provides safe, high quality childcare, before and after school care, arts enrichment and teen leadership programs in 17 communities and 48 schools throughout Monmouth County, NJ. Programs to support healthy living are now offered year-round at Camp Zehnder and at our flagship facility in Red Bank. 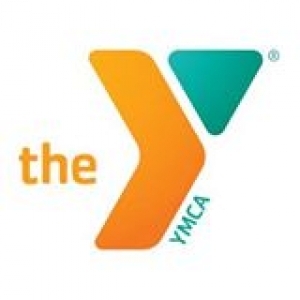 The Y also provides counseling and social services programs to individuals and families in 10 NJ counties. Financial assistance is available on a needs-based, sliding scale. Sign Up for SIBSHOPS at YMCA Camp Zehnder!